Microsoft has released its Windows 10 Insider Preview Build 17723 (RS5) to Windows Insiders in the Fast ring and Build 18204 (19H1) to those who opted in to Skip Ahead. The latest release has brought with it some interesting new features, enhancements and UI tweaks that the company hopes will make the Windows experience more enjoyable for users. It’s worth noting here that RS5 builds will henceforth come from the RS5_RELEASE branch. For Insiders who chose to ‘skip ahead’, 19H1 builds will continue to come from the RS_PRERELEASE branch, says the company. The 19H1 is scheduled for a general roll-out in early 2019. Flashlight is a new feature aimed at users of the company’s Mixed Reality headsets. 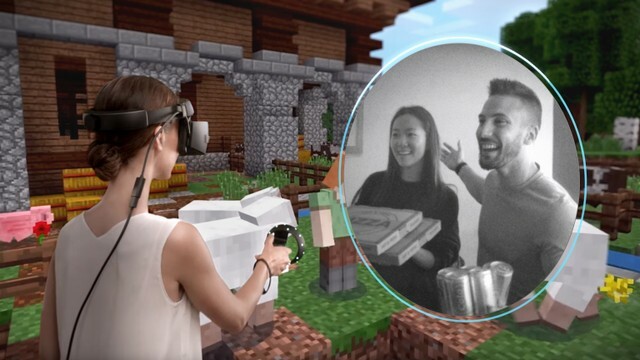 According to the company, the feature allows users to peer into their physical environment without removing their headset, enabling a seamless mix of physical and virtual realities. “With the latest Windows Insider Program build, you can open a portal into your real world at any time via the Start menu, a button shortcut, or a voice command. This opens a low-latency pass-through camera feed connected to your controller. It’s comfortable, intuitive, and keeps you immersed” says Dona Sarkar, the head of the Windows Insider Program at Microsoft. Microsoft is also introducing some new Group Policies and MDM settings for IT administrators to manage its Edge browser. The policies, according to the company, include enabling/disabling full-screen mode, printing, favorites bar, and saving history. The policies now also help prevent certificate error overrides for enhanced security. As part of the Group Policy overhaul, Microsoft has also introduced new options for configuring the Home button and startup options, as well as setting the New Tab page and Home button URL and managing extensions. With the latest build, Microsoft is retiring the XSS Filter. Users, however, remain protected thanks to modern standards like Content Security Policy, which provide more powerful and secure mechanisms to protect against content injection attacks, with high compatibility across modern browsers. 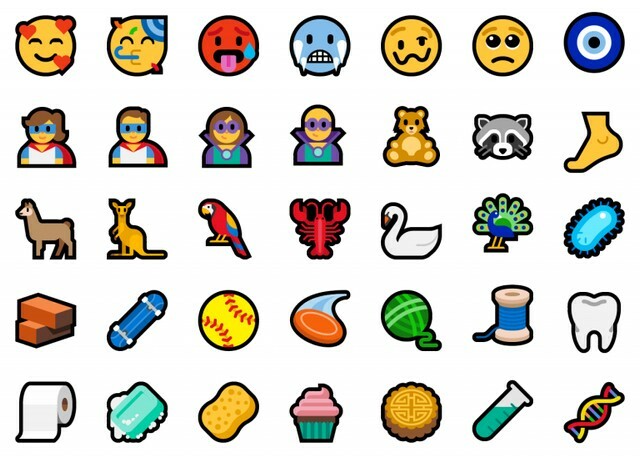 The latest Windows 10 build has incorporated all the 157 new emojis that were announced as part of Unicode 11 last month. The list includes a whole bunch of new characters, including superheroes, redheads, a softball, a pirate flag and even a llama. Users will be able to access the entire pack by using the Emoji Panel (WIN+.) or the touch keyboard. Apart from the above, the latest build of Windows 10 brings various other bug fixes and improvements, all of which have been described by Sarkar in great detail on the Microsoft website, so you can click here to check out all that info.